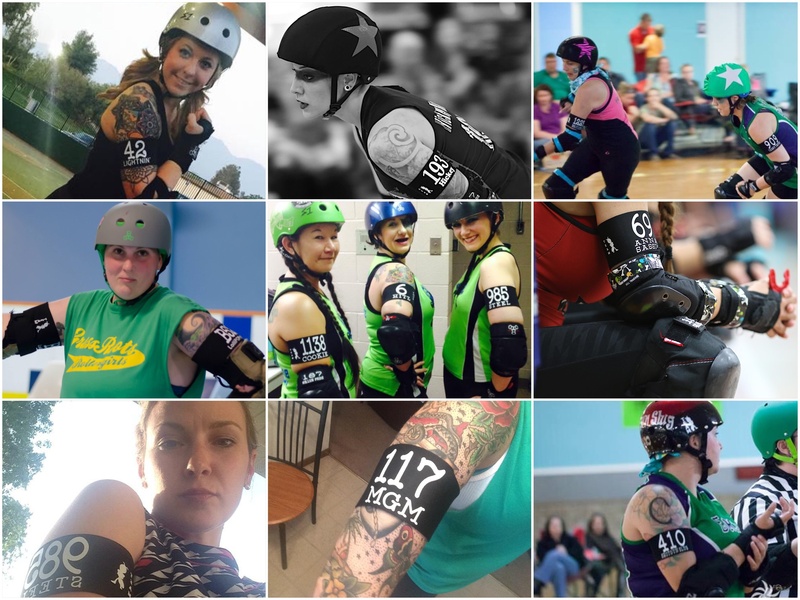 ATLANTA, GA â€“ The favoured Gotham squad will defend the WFTDA Championship tomorrow following a 221-120 win over Denver. Denver exhibited spirited defence and, especially when they had a full pack, were often able to contain Gothamâ€™s jammers â€“ but it took them the better part of the match to get a handle on Bonnie Thunders, and at that point it was just too late. After holding a narrow 12-point lead late in the first half, Gotham exploded out of the blocks to secure the win. In the first jam, a robust Denver defence was able to hold Bonnie Thunders to just six points, but werenâ€™t able to spring their own jammer from the pack. Next up, that same robust defence forced a major track cut on Suzy Hotrod, handing Rangeon a power jam â€“ it was enough for Denver to take the lead, but the opportunity was shortlived as Rangeon landed in the penalty box herself after a fourth minor. With four minutes gone, Denver held a 14-6 lead. Gotham retook the lead as Bonnie Thunders took the star â€“ she brought Gotham to a 15-14 lead and called off the jam as Rangeon returned to the track. A string of 4-0 and 5-0 jams for Gotham followed, punctuated with crowd-pleasing lead jammer calls for Denverâ€™s Juska at the 22 and 18 minute marks. In the first, she could only pick up a single point but in the second, Denverâ€™s blockers locked down on Claire D Way, letting Juska put up a grand slam. With 17 minutes left on the period clock, Gotham lead 41-21. At that point, both teams ran into penalty trouble; with two blockers per team on the track as the next jam started, Suzy Hotrod picked up lead jammer status but had Adams hot on her heels; that jam went 4-2 in Gothamâ€™s favour. Just after halfway through the period, Gotham picked up a power jam; Brazilian Nut fought through sturdy Denver four-walls to bring Gotham to a 30 point lead, 54-24, as Akers cooled her heels in the penalty box. Gotham sent out Bonnie Thunders to finish out the power jam; she put up 25-0 as Akers struggled to make an initial pass, leaving Gotham with a 79-24 lead and 9.30 in the period. Denver had a big opportunity then â€“ Rangeon picked up lead jammer status and Suzy Hotrod picked up dual majors, one for back-blocking, one for insubordination. In the ensuing power jam, Rangeon struggled with a two-wall of Hyper Lynx and Fisti Cuffs but added points for Denver, bringing it to 79-43. An official time-out then stopped the clock at 6.54. When Suzy returned to play in the next jam, a 4-2 pack advantage let Denver lock her down as Heather Juska ran for 24-0; Gotham held a 79-67 lead with 4 and a half minutes left in the period. In the next jam, Bonnie Thunders added 15 points before Rangeon picked up a fourth minor penalty, handing Gotham a power jam as Bonnie continued to skate; at the end of the jam, Gotham had broken the century at 114-67, with 2.25 to play. With a 4-2 pack advantage and Rangeon still seated in the box, Gotham sent out Claire D Way to close out the half and when the last whistle blew, they headed to the locker room with a 121-67 lead. Denver sent out Juska to open the half â€“ she added a fast 4-0 over Bonnie Thunders before calling off the jam, but Bonnie opened the next jam with Juska seated in the box. Sheâ€™d cut the track while calling off the jam, picking up a major and a minute in the penalty box. Denver four-walls were able to slow, but not stop, Bonnieâ€™s scoring â€“ she put up 15 unanswered points before Juska returned to the track and wound up calling it off after picking up two more, giving Gotham a 138-71 lead. Gotham ran into penalty trouble at that point; in two successive jams, they had just two blockers on the track, but Denver werenâ€™t able to translate that advantage into points. The first jam went 0-0 as Thunders got out of the pack first, but Rangeon picked up lead and shut down the jam; Suzy Hotrod picked up 4-0 on the next. Sharpless had a big opportunity with about 22 minutes left in the game when Brazilian Nut landed in the penalty box with the Gotham star. Heavy defence from Slaydie and Fisti Cuffs limited her scoring; when the jam expired, Denver trailed 142-80. In the next jam, Denver stifled Brazilian Nut as Rangeon ran for four natural grand slams â€“ but in her next pass, she cut the track as she attempted to call off the jam and landed in the penalty box. Nut added 15 of her own to bring the score to 157-101 in Gothamâ€™s favour, with 17.32 on a stopped clock for an official time-out. Bonnie Thunders ran out the remainder of the power jam with a 4-2 pack advantage and added 14-0 before Rangeon returned to play. In the next jam, Suzy Hotrod had the opportunity to further extend that lead, again working with a pack advantage and no Denver jammer on the track. Sheâ€™d brought the score to 186-101 when she landed in the penalty box for a major back-block, freeing a standing Juska, who was able to make her initial pass before jam expired but not add points. With just under 14 minutes to play, Gotham led 190-101. Rangeon added 10 for Denver in the next jam before Suzy returned to play â€“ and three more before she could get the chance to score, bringing the score to 190-114. Gotham called their second time-out with 11 minutes left on the clock as their blockers filled their penalty box. Following a fast 0-0 jam, Denver called a team time-out of their own â€“ and following a couple of low-scoring jams, the officials called yet another time-out to stop the clock with 8 minutes remaining and Gotham holding a 194-117 lead. With about five minutes left to play, Gotham broke the double-century mark, leading Denver 200-120 after Brazilian Nut got hung up in the pack, allowing a quick 3-0 for Rangeon â€“ that was quickly answered with a 3-0 for Bonnie. Claire D Way opened the gap a little wider, putting up 14-0 and prompting Denver to call their final team time-out with 2.27 on the clock. Denver werenâ€™t able to add any further points as the period clock ticked down and at the final whistle, Gotham had secured a place in the championship bout with a 221-120 victory. Tomorrow, Denver face Texas in the third-place match and Gotham will defend the Hydra against Oly.